A giant facility full of machinery capable of producing almost anything a creator dreams up, with a personalized robot to boot; GE’s new Advanced Manufacturing Works sounds rather like a futuristic Willy Wonka’s Chocolate Factory. However, with $75 million worth of investment behind its creation, this gargantuan workshop is designed to create more than candy bars. Packed full of the latest big-data analytics and cutting-edge technology which isn’t yet available on the market, and with parameters that exceed the size of two football pitches, the plant is set to innovate the way industry itself works. The plant is essentially designed to accelerate the process that occurs between an engineer’s light bulb moment and mass production. With a wealth of machinery at their fingertips, Goodwin’s colleagues are able to test out new design and manufacturing ideas, rapidly conduct tests and produce prototypes in order to finalize the design, before giving the go-ahead for large-scale production that can keep pace with market demand. The new facility, which was inaugurated with an opening ceremony last Friday, is set to take on 80 employees, and already houses materials scientists, engineers and machinists who are leaders in their field. 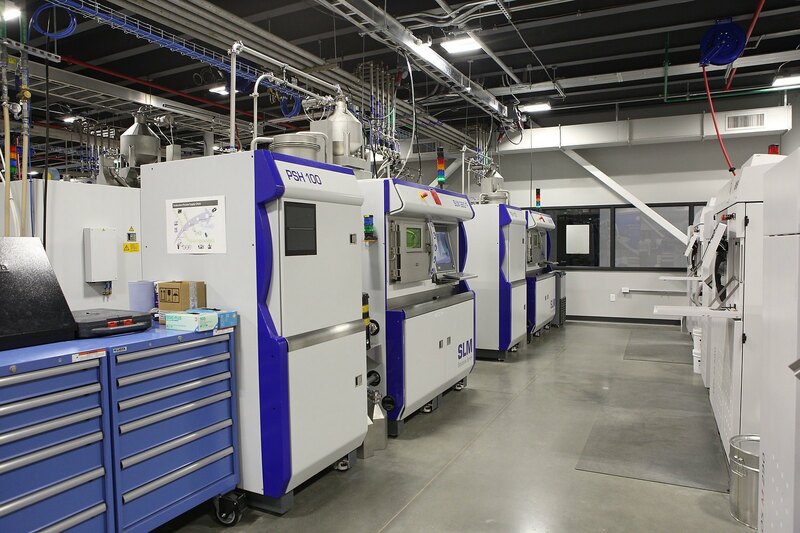 The machinery that is at the teams disposal currently includes a industrial-grade 3D printers, ovens than can create a ‘supermaterial’ called ceramic matrix composites, and a robot affectionately nicknamed Autonomous Prime which has IDAR technology built into its eyes – the same equipment used by Google’s self-driving cars. A standard workflow in the new GE plant would typically begin with a CAD file of an initial prototype, which is then turned into a 3D model of the design. In the past, this process could take weeks, but is now being termed “rapid prototyping” for its fast turnaround. Predix software is also used to stream information over the secure ‘Industrial Internet’ into the cloud for analysis and problem resolutions, a process that comprises part of what GE terms the “digital thread” which allows rapid information sharing between the highly-specialized team. “It’s Uber for industry”, quipped Clay Johnson, GE Power’s chief information officer, when speaking of this innovative data sharing system. Typical projects vary in the workspace, but last week saw the plant produce compressor blades and look to insert 3D printed parts inside the world’s largest jet engines. GE’s Aviation team are using direct metal laser melting machines for this, which fuses layers of fine metal powder together with a laser beam. The Greenville-based plant is only the latest of GE Power’s new facilities to be established. 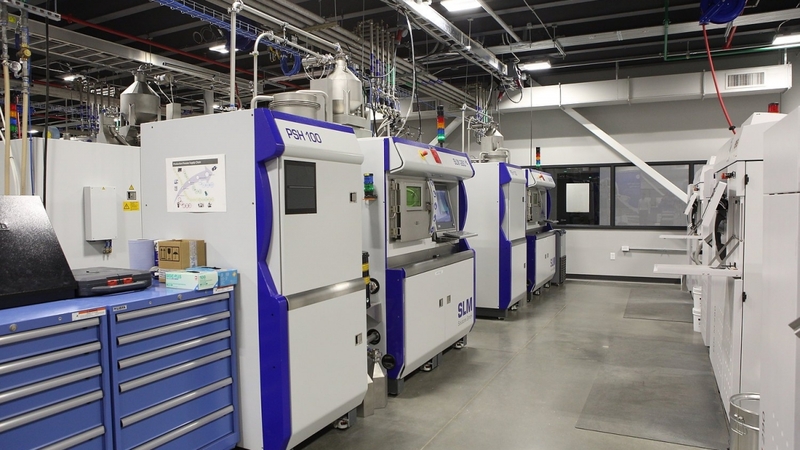 Earlier in April, the Centre of Additive Technology Advancement opened its doors in Pittsburgh, and houses a team that is working to bring “additive” manufacturing methods, such as 3D printing, from the niche to the conventional. GE’s new plant is a bold and exciting experiment, with the potential to overhaul and catalyze the whole process of how we create new products. Such potential holds parallels to how Adam Smith’s Wealth of Nations revolutionized labour systems, and ultimately led to the first Ford Model T cars rolling off assembly lines a century later. Steve Bolze, GE Power’s CEO, acknowledged that technology can only take us so far however, without human ingenuity driving innovation forward.